Print on card stock, trim along black border, and laminate for durability. 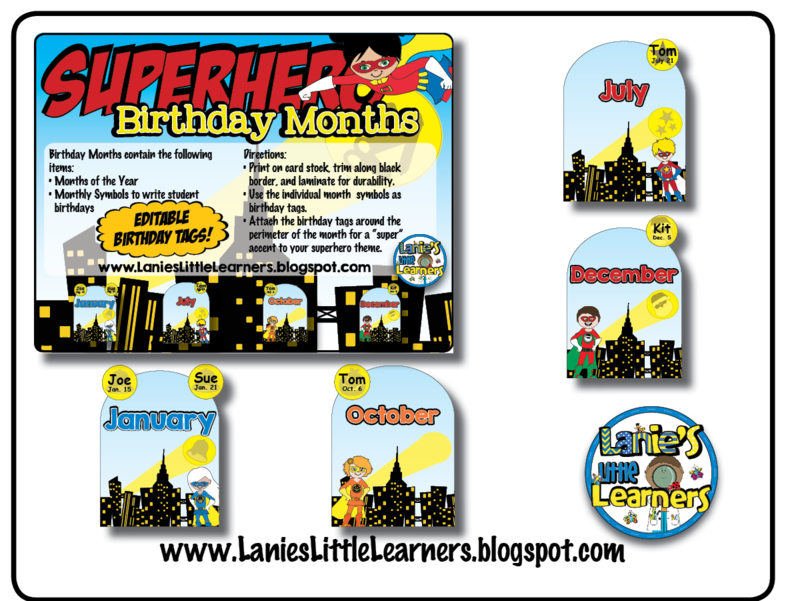 Use the individual month symbols as birthday tags. Attach the birthday tags around the perimeter of the month for a “SUPER” accent to your superhero theme.